Effective Republican resistance to spending increases, always a matter of numbers in the General Assembly, will be severely reduced in the new session. Remarks at the opening of the General Assembly made by newly re-installed President Pro Tem of the Senate Martin Looney, who can be relied upon to set in stone Democrat goals in the chamber for the new Lamont administration, demonstrate that the Republican spending firewall has collapsed. As is the case with most progressives in the General Assembly, Looney wants more: paid leave; a raise in the minimum wage; equitable justice, i.e. a “second chance’ reentry of convicted criminals into the non-criminal community; enlightened policies; a nurturing, supportive government; affordable housing, patient centered health care; superb education, including child care so that children will no longer be poisoned by a feeling of failure; the elimination of barriers that separate our communities; regional cooperation and much more. Looney did not mention whether he would favor the elimination of municipal governments, presumptive “walls” that separate our communities, so that his vision of a true community of souls may be more perfectly realized. Enlightened policies in the future presumably will be those favored by the progressive Looney in the Senate and the even more progressive Speaker of the House Joe Aresimowicz. Republican battalions in the General Assembly were decimated in state elections. Purely as a practical, mathematical matter, Republicans will have a voice but not a vote that matters in the Lamont era. More precisely, Republican votes will matter only as a voice of easily overridden opposition. However, if the recently concluded election taught Republicans anything, it is this: It is better to be vocal than mute. Silence in law and politics signifies assent. If Powell is right, Lamont will be led down the spending aisle by the usual usher, Democrat progressives in the General Assembly far more experienced in the ways of governing than the untried governor, whose experience in legislative matters is at least as shallow as that of his Republican opponent, Bob Stefanowski. All the talk about Connecticut “reinventing itself” may be a prelude to “more of the same” reformist tendencies. 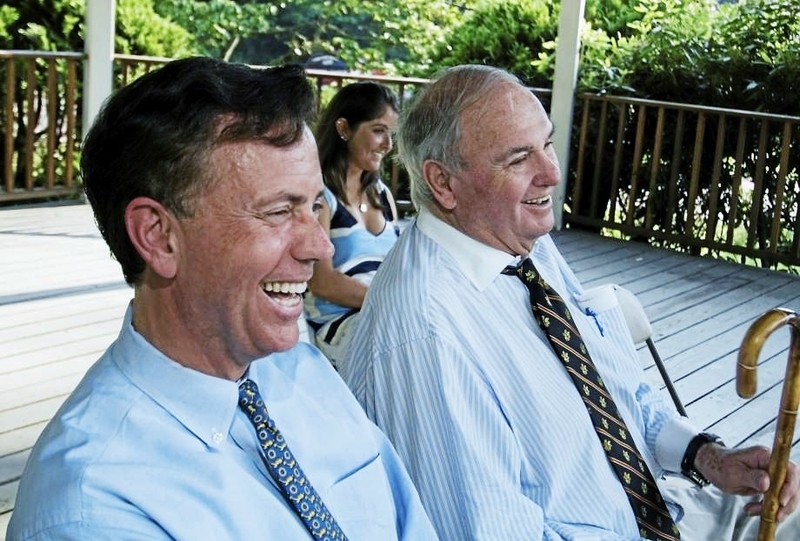 Former Governor Lowell Weicker, quoted in one story as having said of Lamont “I think he’ll be a great governor — not a good one, a great one — better than Lowell Weicker," reinvented even Connecticut when he rammed an income tax through a resistant legislature, vetoing three non-income-tax balanced budgets. Departing Governor Dan Malloy reinvented Connecticut anew when he imposed on the state two income tax increases that, taken together, represent the largest tax increase of any administration in state history. And here we are – in low-dive competing with New York in a race to the bottom. Re-invention is very much overrated. What Thomas Paine said about the character of a man applies as well to the character of a state: "Character is much easier kept than recovered." It is much sounder political strategy to preserve live traditions rather than engaging in fatal re-inventions. Connecticut already HAS a character that fortunately has not been entirely eviscerated by years of imprudent taxing and spending. One must listen very closely to progressives in the state legislature to discover their plans, if any, to cut spending permanently and long-term. Instead, we have had during the eight years of the Malloy administration a government that reformed everything but government, which has been growing at an alarming pace ever since Weicker – who believes that Lamont will be a great governor, even “better than Lowell Weicker" – changed the fixed character of Connecticut by making it more like Governor Andrew Cuomo’s New York, hardly a model of prudent governance.